Since 1889 Baker Lime has been producing High Quality crushed and pulverized Ag-Limestone products. Over a century later the tradition continues with Baker’s complete line of products for the Agricultural Community, home consumer and industrial markets. The Dolomite Lime is mined from a rich deposit in the heart of York County, Pennsylvania. The high purity and particle fineness of Baker’s Agricultural Lime and Limestone products has made us an acknowledged leader in the Lime Industry. 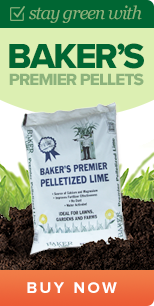 Few products on the market today compare to BAKER’S AG-LIME. As bulk lime suppliers, it is our goal to provide our customers with the best limestone available. We also make it our top priority to provide our customers with the best information possible to help them make educated decisions on utilizing our products to their maximum potential. Visit the lime education section of our website to get all of the information you need on using our limestone products and contact the Baker Lime team today for more information! It reduces soil acidity. You won’t be able to grow your best crops without a properly balanced soil. When you choose Baker Lime as your limestone supplier, you’ll get your soil just right. 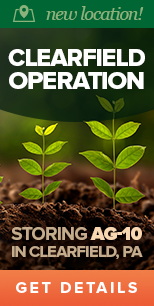 Our AG lime products bring your soil to the right PH levels to help your crops prosper. Using AG lime will make all of the difference when it comes to growing your crops. It improves plant nutrition. Agricultural limestone serves as a great source of both calcium and magnesium for your plants, while also providing exposure to phosphorus, nitrogen and potassium. Altogether, ag-lime is an essential ingredient in the crops of most serious farmers that gives their plants the nutrients and minerals they need to grow healthy and yield bountifully. It allows water to penetrate soil. All life needs water to grow and survive. When you use ag-lime, water has an easier time penetrating highly acidic soils, meaning your plants and crops get the sustenance they need to thrive. For more than 125 years, Baker Lime has been bulk limestone suppliers for farmers providing them with superior agricultural lime that can bolster crop yields. Farmers who have used our AG-Limestone products will tell you: They’re some of the best on the market. However, the quality of our products alone isn’t the only thing that keeps our customers coming back time and time again. Our skilled and friendly staff members at Baker Lime are available to answer all of your questions about our lime products. Together, we’ll work to make sure you get matched with the products that are ideal for your particular applications. We also know that once you place an order for limestone from bulk lime suppliers, you’ll want to use it right away. That’s why we load and ship lime to customers 24 hours a day, 365 days a year. At Baker Lime, we believe that a transaction doesn’t end the moment money changes hands. Instead, we focus on developing long-term, mutually beneficial relationships with all of our customers. You can also reference our resource center to learn more about our company and our products. 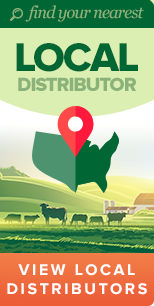 We serve farmers in Delaware, Maryland, New Jersey, New York, Pennsylvania, Virginia, West Virginia and beyond. If you live near one of these states and you’re in the market for a new lime supplier, you’ve come to the right place. Baker Lime is one of the most trusted limestone suppliers on the East Coast. Our ag-lime will help your plants and crops develop to the fullest extent, creating healthy soil that’s perfect for supporting life. Place an order today, or contact us for a free quote!